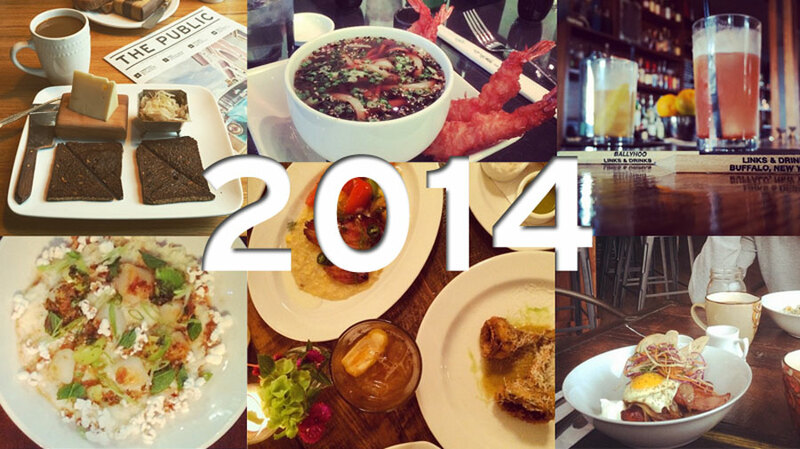 With what felt like a new restaurant being announced every month in Buffalo, 2014 was a year worth discussing. Our growing selection of dining options doesn’t seem to be slowing down, and that growth allows for actual praise and intelligent criticism. New establishments are not the only factors in this year being so great for Buffalo food. Visiting chefs are showcasing their talents and new international cuisine is being tested on our palates. If this past year tells us anything it’s that 2015 is going to raise the stakes and Buffalo is ready to consume. Today’s episode features Christa and Donnie’s annual year-end wrap up. They chat about the good and bad of 2014 and the things they look forward to in 2015. This episode is hosted by Christa Glennie Seychew and Donnie Burtless and is produced by Tom Burtless.